Zoom is a lightning fast wordpress vulnerability scanner equipped with subdomain & infinite username enumeration.. It doesn't support plugin & theme enumeration at the moment. What's infinite enumeration? Try enumerating usernames of cybrary.com with Zoom & wpscan (or your fav tool). In the manual mode, you will need to specify a wordpress website to scan for vulnerabilities and to enumerate subdomains. 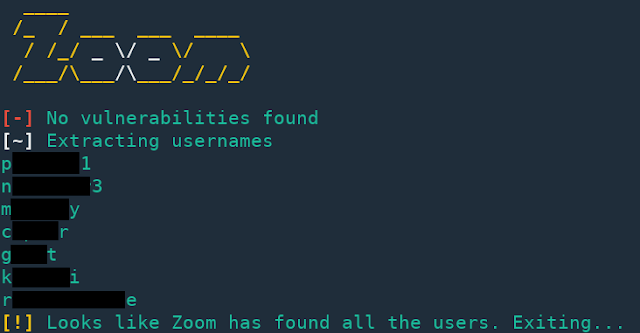 In the automatic mode, Zoom will find subdomains and check the ones using wordpress for vulnerabilities.